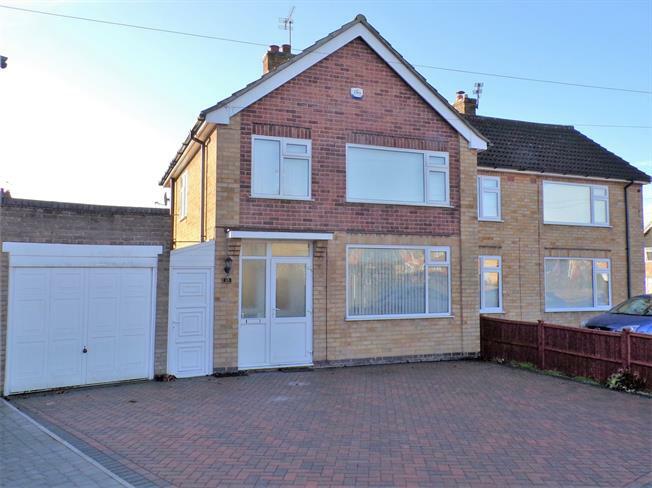 This attractive three bedroom semi detached has been well maintained and offers balanced living space throughout. The property has a modern kitchen and bathroom which are both well presented. In brief the property comprises of porch, hall, lounge, dining room, kitchen, lean to, garage, landing, bathroom and three bedrooms. Other main features include gas central heating, gas feature fire, double glazed windows and doors, fitted kitchen appliances including oven, induction hob, extractor and dishwasher. The rear garden is mainly laid to lawn with a summer house, the front has been block paved an offers parking for two cars. Viewing advised. No onward chain.